These are the Pick-Your-Passion books where the readers gets to pick whether they read the “sweet” or “heat” love scenes. Serve and protect. That’s what Sheriff Teague Castro promised the good people of Bartell County, Georgia. But when he reunites with his first love, his supporters suddenly wonder if he’s too distracted to uphold his sworn commitment. When Jenny buys an expensive house Teague could never afford on a sheriff’s salary, small-town gossip runs wild. If he can’t take care of his own family, is he fit to protect a whole county? Until his job is secure, Teague presses pause on his love life. But when a crisis calls him to the front line, it triggers memories from a tragic case still haunting him. Only this time, Jenny’s life is on the line, and the confrontation could quickly turn Teague’s forever into never. Walking down Main Street, Sheriff Teague Castro truly understood what the phrase on top of the world meant. The Georgia sky was a clear blue, and in late September there was a hint of cool in the air, just enough to make him think of picking apples and sharing hayrides pulled by Mr. Caldwell’s team of donkeys. And since the love of his life had recently moved here from Boston, he was eager for the weather to cool off. That would allow him to sit on his porch wrapped in a blanket with her, and if Jenny didn’t happen to have all her clothes on at the time, all the better. It was only a short stroll from the sheriff’s office to the town square. He opened Icing On The Cake’s front door, and the customers sitting at small tables were almost overshadowed by the bakery’s bright yellow-and-pink-striped walls. But his momentary grand mal seizure was quickly soothed as the scent of vanilla and sugar rolled over him. Although he was grateful Jenny’s divorce had given them the opportunity to start over, he was also impatient to start living the life they should’ve built together years ago. Down, Castro. No one’s going to take her away from you again. After all, he’d been the one to ruin things years ago. And in all that time, no other woman had been able to get to him the way Jenny did. 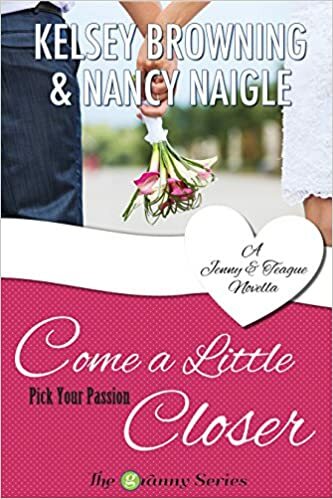 When she married some country-club type up north, he thought he’d never get another chance to let her know how much she meant to him. Now, he would prove every day to Jenny and her nine-year-old son, Grayson, that they meant more to him than anything in this world. “Just two.” Last time he’d taken treats out to Summer Haven, Jenny had scolded him, telling him if he didn’t stop feeding her, she wouldn’t be able to fit into her jeans. Didn’t keep her from eating the eclairs though. She might be addicted to the pastries, but he was addicted to the sweet taste of cream filling and chocolate from her kisses. And if you asked him, her jeans looked excellent when they were a little tight.